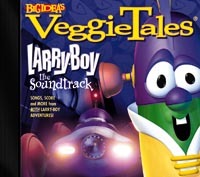 This CD has songs taken from Larry-Boy! & the Fib from Outer Space! and Larry-Boy and the Rumor Weed. There are also two remixes of the "Larry-Boy Theme Song" and "The Rumor Weed Song" by the The W's! !